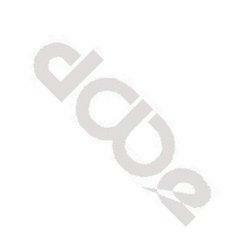 The modern world is characterized by motorization development that was not observed before. Motor traffic volume on the main traffic routes in large urban agglomerations often exceeds tens of thousands of vehicles per hour. Crossing a street in such circumstances has become very dangerous. In the same time railway network is also developed, including new high speed lines. Construction of numerous footbridges and underpasses that increase pedestrian safety and facilitate motor and railway traffic is necessary to separate pedestrian and vehicle traffic. The modern man could afford to spend his free time in very attractive touristic regions. Need of visiting new touristic resorts, sight−seeing of richness of world's monuments, searching of calm places to take a rest, has led to rapid develop− ment of tourism. Thousands of people have nowadays access to places which, until recently, were visited by few. For instance, the footbridge in Sromowce Niżne (a highly attractive tourist destination), in the mountainous Polish−Slovak border region, is used by over 15 000 people every weekend. These two factors contributed to very prompt constructions of footbridges in many countries around the world. The last 15 years showed that designing, construction, operation and maintenance of footbridges requires that a number of factors typical for footbridges need to be taken into consideration. Footbridges have become a field of research and experiments in terms of new architectural forms, structural and material solutions. Interesting and innovative realizations come into being as a result of cooperation between bridge engineers and architects, as well as fine artists and sculptors. Footbridge designing is thus becoming a multidisciplinary domain. The first edition of the International Conference FOOTBRIDGE was held in Paris, in November 2002, under the auspices of the French Association of Civil Engineers (AFGC) and of the Technical Advisory Bureau for Steel Users (OTUA). This event was organized in the sequence of two major occurrences of vibrations in urban long span footbridges, and motivated intensive research towards the understanding of governing phenomena and the development of dynamic design rules. The high interest in this event and the understanding of the importance of footbridges as a topic worth specific treatment, not necessarily exclusively in terms of dynamic behavior, prompted a second edition of the FOOTBRIDGE Conference. The Conference was organized by the Department of Architectural Construction of the University of Venice, Italy, and by OTUA, and held in Venice in December 2005. Before the Conference a Workshop was organized by OTUA to discuss and present results of research in Dynamics of Footbridges and, in particular, the French Recommendations for dynamic design of footbridges, edited by AFGC and SETRA. The growing meaning of footbridges as iconic structures, the importance of the correct integration in the landscape, satisfying functionality principles, offering simultaneously safety and comfort along the walking path, have contributed to signifi− cant progress in design and increased interest in footbridges. The third International Conference FOOTBRIDGE 2008 was organized in Porto, a city with 1000 years of history, grown along the Douro river estuary. From the 19th century, this demanding river has inspired construction of outstanding bridges. The obvious need for pedestrian links between the two riverbanks provided, in the context of urban renewal and the current search for high expertise solutions to overcome the Douro river, the motto for the third International Conference Footbridge 2008, organized by the faculty of Engineering of the University of Porto (FEUP) and OTUA. 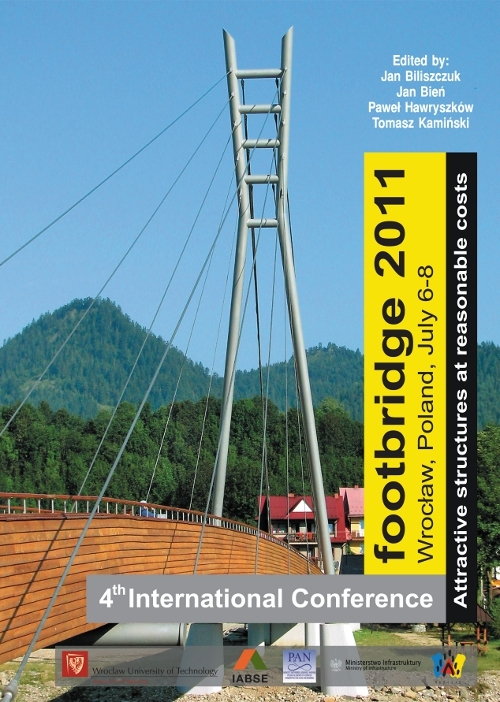 The fourth edition of the Conference FOOTBRIDGE is organized in 2011 by Wrocław University of Technology under the auspices of International Association for Bridge and Structural Engineering (IABSE), Polish Academy of Sciences (PAN), Ministry of Infrastructure and the city of Wrocław. The Conference is held in Poland, a country which after joining the European Union strives for a prompt modernization of the transport infrastructure. Many communities around the world also begin or continue the process of such modernization, including pedestrian footbridges, which may significantly contribute to their future economic and cultural development. The investment costs, technology and execution time are crucial issues nowadays, so it is important to discuss solutions which are inexpensive and universal. Then, the main objective of the Conference, except for the presentation of impressive architectural and engineering achievements, is also the introduction of universal, aesthetic footbridges constructed of high quality and durability materials. Problems that remain still current are the comfort of users and dynamics of footbridges. The keynote of the Conference is "Attractive Structures at Reasonable Costs". From 216 abstracts submitted to the Conference the Scientific Committee accepted 162 papers from 38 countries for presentation, including 7 keynote lectures prepared by recognized specialists invited by the Organizing Committee. We sincerely hope that the Conference will provide numerous opportunities for specialists from different countries to exchange opinions and that it will contribute to the quality improvement of new projects. We express our thanks to the Authors of the papers for their valuable contribution, to the Members of the Scientific Committee and Advisory Committee for their valuable effort, to the Members of the Organizing Committee for their hard work during the Conference arrangement and to the Publisher for thorough edition of the Conference materials. We wish many benefits – scientific, technical as well as tourist, to all participants of the International Conference FOOTBRIDGE 2011. W książce zawarto ponad 160 prac związanych z omawianym zagadnieniem.